ATLANTA, March 29, 2018 /PRNewswire/ — Multiple EMMY® winning producer, social media influencer and entrepreneur Rushion McDonald, will welcome a powerful lineup of fresh voices this Spring for the month of April on his hit radio talk show “Money Making Conversations” – delving into entrepreneurship, secrets of building success, and tools for career longevity in today’s ever-changing marketplace. “Money Making Conversations,” hosted and produced by Rushion McDonald through his multimedia production company 3815 Media, can be heard via iHeartRadio Podcast, and live every Monday, 10 AM to 12 Noon EDT on Biz1190 AM from Atlanta, GA. Beginning on Friday April 6th, “Money Making Conversations” can also be heard Fridays at 10 AM on SiriusXM Channel 141: H.U.R. Voices and Fridays at 7 PM on SiriusXM Channel 142: HBCU. Continuing to spark inspiring dialogue and business creativity, Rushion will be interviewing celebrities, industry leaders, authors, athletes, business owners, and more. 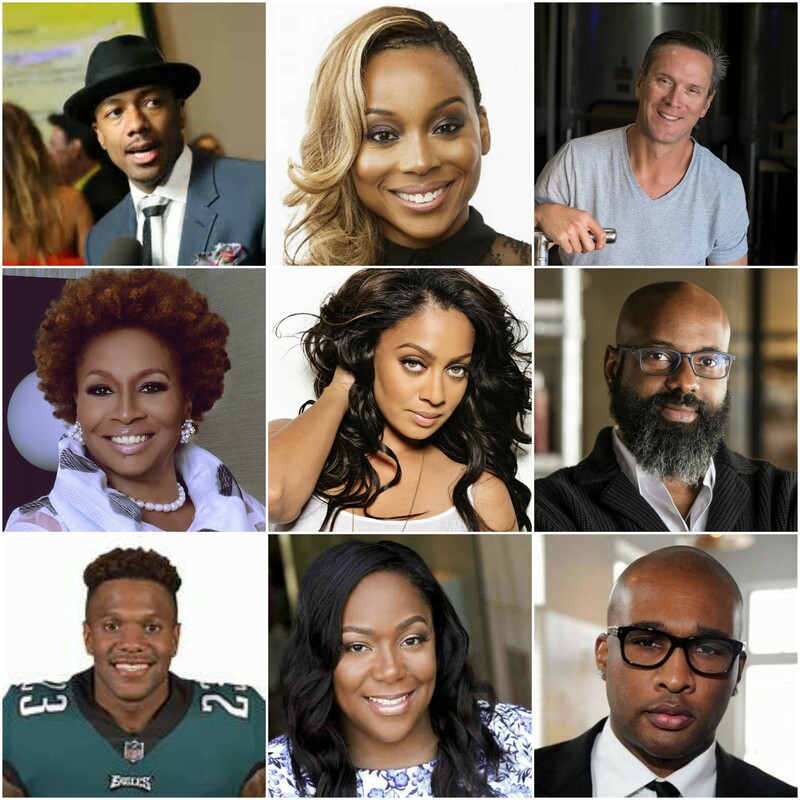 Starting from April 2nd, the wide range of guests* expected for the month of April on “Money Making Conversations” include: Multi-hyphenate entertainer/actor/rapper/producer/entrepreneur Nick Cannon; actress and author Jenifer Lewis (“The Mother of Black Hollywood: A Memoir”); actress, author, TV personality, and entrepreneur La La Anthony; Richelieu Dennis, Founder of SheaMoisture, Founder & Chairman of Essence Ventures; Drew Bledsoe, retired NFL player and owner of Bledsoe Family Winery; TV One SVP of Original Programming & Production D’Angela Proctor; Civil rights activist, publisher and entrepreneur Danny Bakewell Sr.; Melissa Harville-Lebron, the first African-American female NASCAR team owner; Philadelphia Eagles NFL player Rodney McLeod; actor, writer, entrepreneur Allen Maldonado (“The Last O.G.”); actress Erica Ash (“Survivor’s Remorse”); film producer Datari Turner; author Shomari Wills (“Black Fortunes”); Chick-fil-A franchise owner Zach Thomas; Gina Holland, TV executive and CEO of Ruby Red, Inc.; tax practitioner Laura Foos; Dawn Hendricks, CEO of FM Talent Source, LLC; Todd J. Duckett, retired NFL player, President of Duckett Enterprises and owner of The Printing King; Lyneir Richardson, Executive Director of the Center for Urban Entrepreneurship and Economic Development, Rutgers Business School; and Steven Clarke, the Director of Marketing and PR for Golden Krust Caribbean Bakery & Grill. Golden Krust is the nation’s largest Caribbean franchise chain and will be opening two new locations in Snellville, GAon Friday (4/27) and Marietta, GA on Saturday (4/28). Come celebrate with Golden Krustand enjoy free samples of their delicious jerk chicken and world-famous cocktail patties. A branding expert, renowned dealmaker, award-winning television and film producer, through his multimedia company 3815 Media, Rushion McDonald remains a force in creating unique content and being an entrepreneurial mentor and influencer with “Money Making Conversations” and other ventures.